There are many household tasks which can lead to severe back pain issues. Have you ever noticed that there are many activities in your daily routine that could be causing you lower back pain? Sometimes we don’t realize but activities like cleaning, doing laundry, taking the stairs and pushing the strollers can lead to excessive stress on the lower back. Spinal Backrack helps you treat and prevent all forms of back pain with a drug-free approach. If you’re suffering from back pain due to household chores, we recommend you to use Backrack™ – A spinal decompression device designed to eradicate back pain safely at home without any supervision. If we discuss common household tasks that we usually perform at least once in a week. Vacuum cleaning is one of them. While using a vacuum cleaner, the thrust of the force is delivered from the legs as weight is transferred back and forth between the back and the front lower limbs. The motion of vacuum cleaning also includes bending which indirectly put pressure on the lower back. This repeated motion can cause compression in the intervertebral disc and can be the source of mild to severe back pain. A more similar activity in which parents are usually involved is the pushing of stroller. The posture we adopt while pushing the little one in the stroller can affect the spinal curvature as the parent tend to bent slightly forward of centre. For such activities, we recommend you to use Backrack™ Lumbar Support Belt as it will keep holding your lower back and will minimize the internal forces applied on the spine while bending. Cleaning and doing laundry can also be harmful and often leads to lower back pain. Especially when aged or people with weak lower back muscles are at risk of developing different types of back pain. The critical activities in laundry involve bending down to put clothes in the washing machine and then taking out the wet and heavy towels. It puts stress and strain on the lumbar region that can seriously disturb your sciatic nerve. You may consider using Backrack™ Lumbar Belt to support your lower back and live a safe and healthy life. Climbing up and stepping down the stairs is a part of some modern day exercises. People usually consider it a good habit but climbing the stairs quickly can put a great deal of stress on your lower back and can cause injury. It doesn’t only affect the back but also the knees. Keeping the pace slow and maintaining a good posture while climbing the stairs is very important. 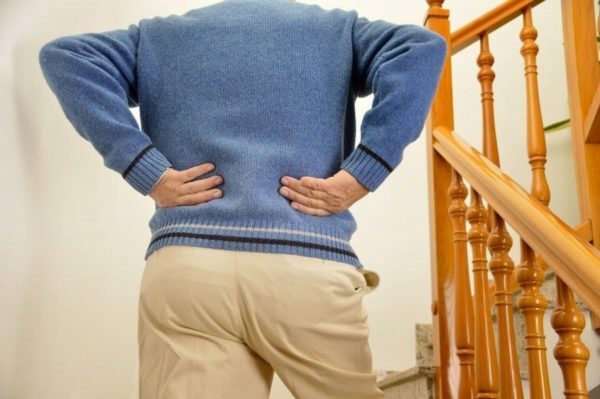 If you live on the second or third floor of your apartment and have to take the stairs many times a day then using Backrack™ device will keep your back healthy. This device is specially designed to strengthen up your entire backbone. Understanding the importance of maintaining the correct posture while performing daily chores is very important. House wives as well as occupational drivers are more exposed to the risk of developing a lower back pain. Backrack™ Spine System is designed to treat and prevent all types of back pain and their associated symptoms. If you have diagnosed with a sciatic nerve, bulging disc, or any other back problem by the doctor, Backrack™ helps you get pain relief in the comfort of your own home. It is easy to use and you can keep it at any corner of your room. BackRack targets the cause of the pain rather than masking the symptoms like many other products available in the market.